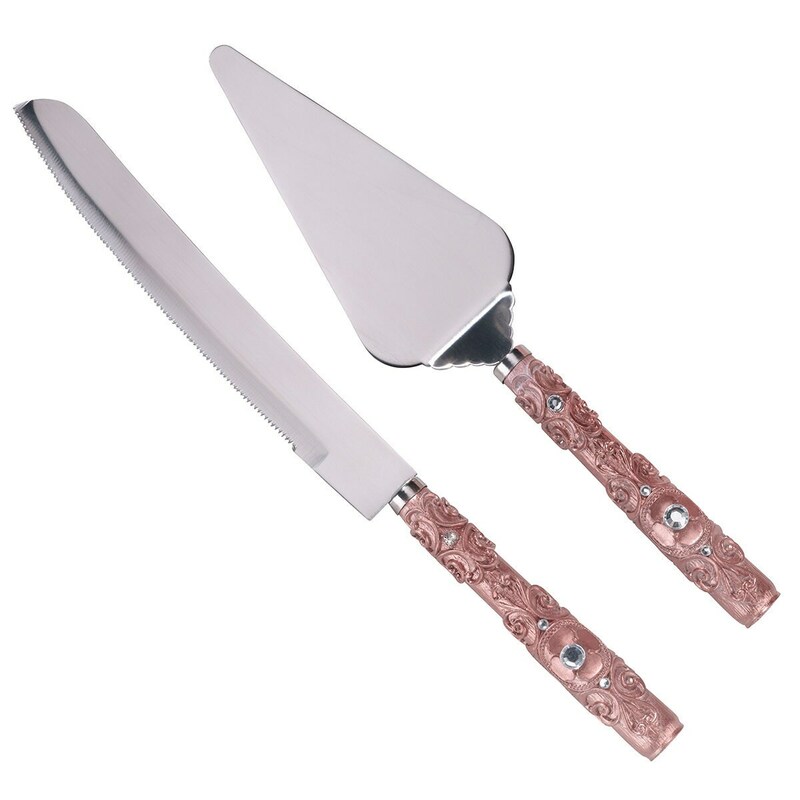 Rose gold wedding cake knife and cake server set. Cutting the cake is probably the most anticipated part of the wedding reception. 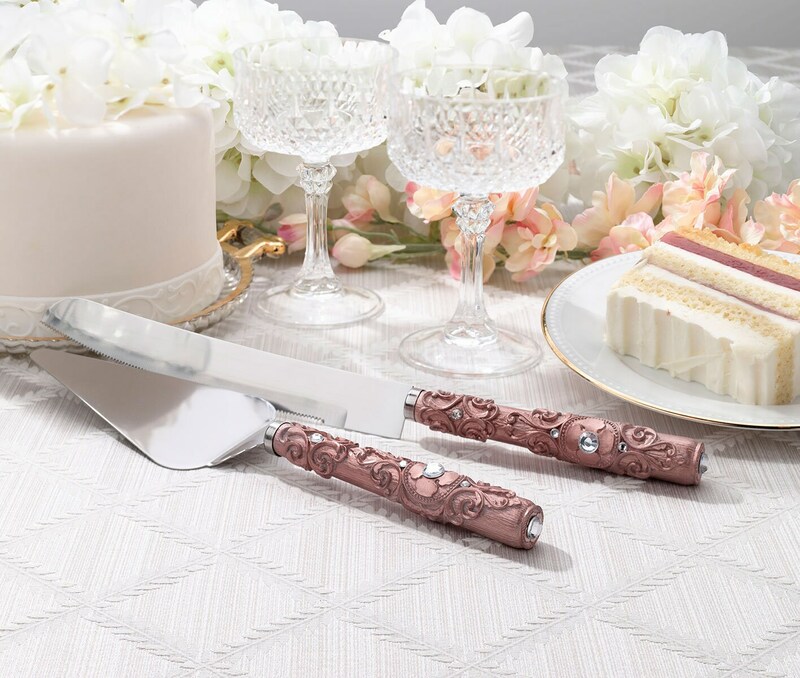 Make sure your dessert table is photo-ready by using this decorative rose gold knife and server set. Knife measures 13" x 1". Server measures 11.25" x 2.5". Ideal for your wedding cake cutting ceremony. other items shown are props only and are not included with the purchase of the wedding cake serving set.